In a medium saucepan, combine chopped cranberries with brown sugar, orange zest, salt, and water and bring to a boil. Simmer over medium heat, stirring occasionally, until cranberries are soft and sauce becomes red, approx. 5 minutes. Remove cranberry mixture from heat and whisk in butter and heavy cream. Cook over low heat, whisking, until butter is completely melted and sauce is hot, about 3 minutes. Keep cranberry sauce warm over very low heat. In a large baking dish, whisk eggs with heavy cream, brown sugar, vanilla extract, and salt. Heat a large skillet and lightly butter it. Working in batches, dip half of brioche slices in egg mixture, turning them, until they are well-moistened. Transfer soaked brioche to skillet and cook until French toast is golden brown. Repeat with remaining brioche slices. 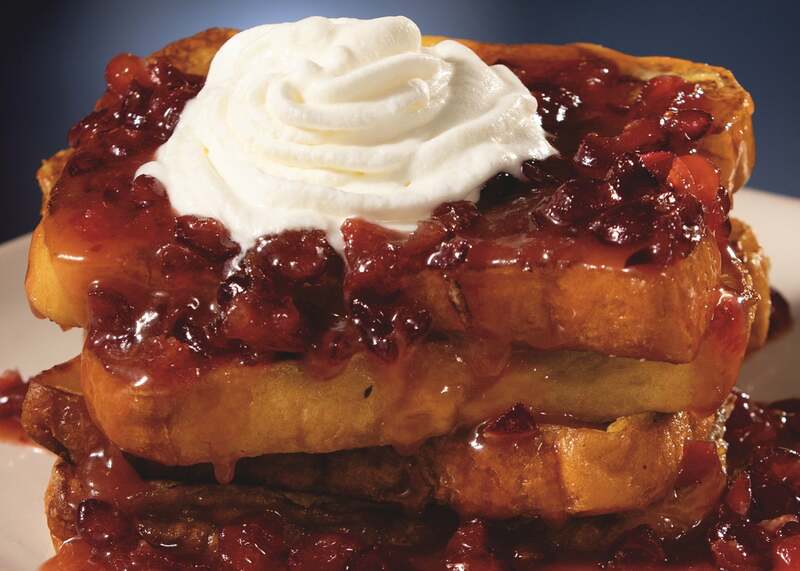 Serve French toast with cranberry sauce and whipped cream.